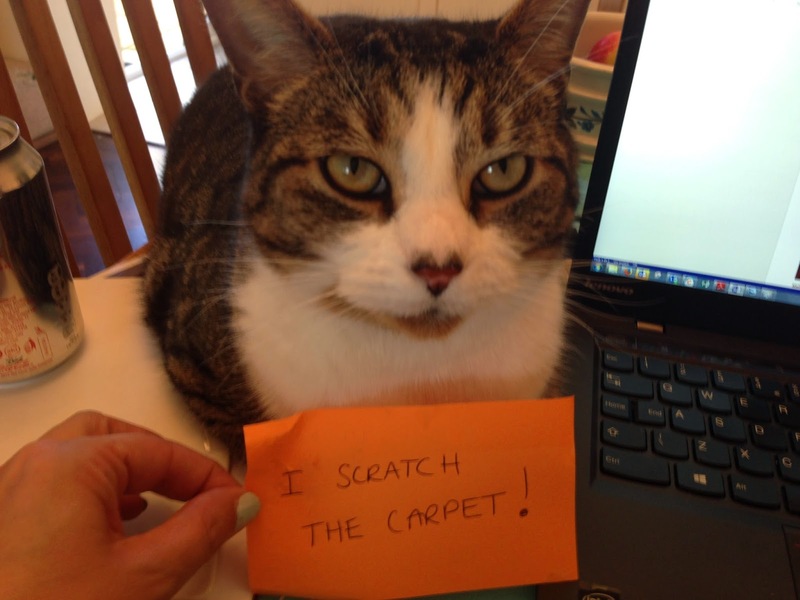 We are often asked questions about cat behaviour…. From spraying indoors, scratching furniture, acting timidly or indeed aggressively. These misbehaviours are often times a sign that something is wrong, from the acts perspective at least! Firstly, punishing a cat will make matters worse so please don't do that! Health Issues - The first thing to do if your cats starts to exhibit behaviour which is out of character, you should take him or her along to the vets for a check-up. Medical conditions are common causes of behavioural issues, even if the link is not apparent to you. For instance, pain. Cats are very subtle when it comes to showing pain and some of the signs can be hiding more, sleeping a lot, becoming aggressive, over-grooming and much more. A vet will be able to spot a reason for the pain and help you to treat the cat appropriately. Stress is another cause of unusual behaviour and many things can cause stress to our furry friends. Some of these are obvious like moving house, a new baby or maybe neighbourhood bully cat, others are more subtle. Feliway can be a good way to try and calm your cat but a vet can offer more advice. Aggression – In truth, cats are rarely aggressive towards humans but, like any animal, they do have their limits. Common causes of aggression include. Pain-induces aggression – A cat in pain will generally have reduced tolerance levels. Spraying is a natural feline behaviour used to scent mark territory but if your cats starts to spray in the home it could be a sign that not all is well. There could be many reasons for this behaviour but the most common are that the cat is ill, stressed or feeling threatened. Commonly, people punish their cat for spraying and this simply makes the situation worse. After a vets visit to check there is nothing wrong with your cat, try to pinpoint what is causing the stress… new neighbourhood cat? New baby in the house? If you can’t link the spraying to anything in particular, you may need to engage the help of a behaviourist. Scratching is another natural feline behaviour and cats will do this to stretch their muscles as well as spread their scent. Try placing a scratching post in the area where the cat scratches and cover the favourite scratching place with a thick plastic, this is very unattractive to cats. Cats do not do this to be naughty and shouting at them can lead to an increased frequency as the cats becomes more anxious. Melly is not short on behaviour problems but as you can see from his face, he just does not care!